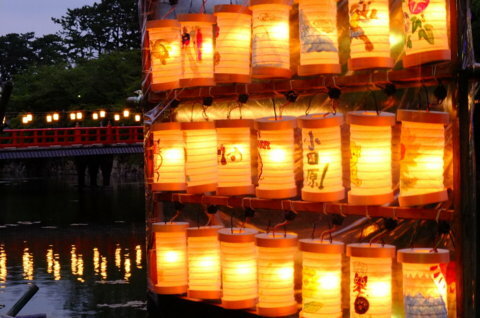 Odawara Lantern The Summer Festival is a festival to be held in Odawara City, Kanagawa Prefecture. 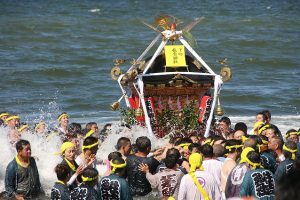 Well now in Odawara City, Kanagawa Prefecture, there were Odawara Inn, a five-way road on the Tokaido fifty-three stations. 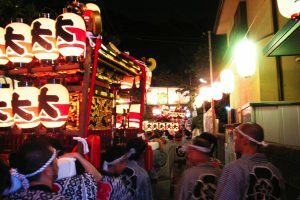 Odawara lantern is also a traditional craftwork originated by Odawara in Kanagawa Prefecture, and it was a popular item for travelers of those days. 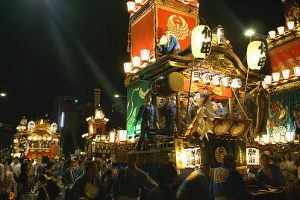 A general lantern has a bulge in the center, whereas Odawara lantern is a refreshing cylindrical shape. 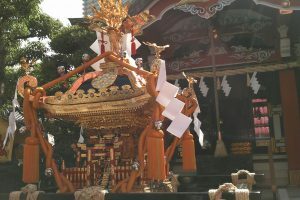 Actually Odawara lantern has been devised, it is possible to store the body of bellows in the top and bottom lid. Thanks to ingenuity, we were able to compactly carry it, so it matched the needs of travelers traveling a long distance. 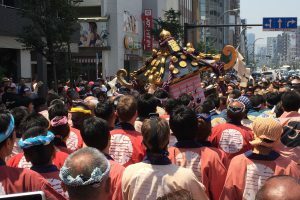 In addition, the propaganda in which the Shogi of Ozuyama Sonjoji Temple was used as a material was also done, and it was an outstanding sales in the era when the existence of monsters and evil spirits was feared. 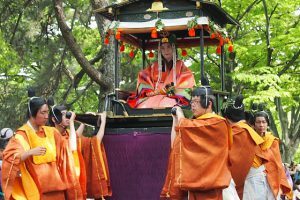 However, demand seems to be sluggish now, and it seems that craftsmen who make Odawara lantern are drastically decreasing. 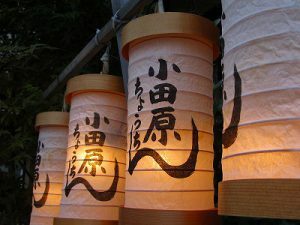 Therefore, we can not deny the possibility that Odawara lantern will not be made in the future. 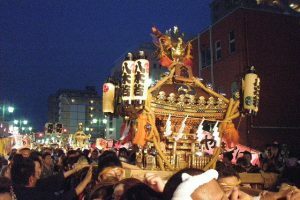 By the way, at the Odawara Lantern Summer Festival, there is also a municipal parade parade where about 20 or more organizations participate. The scale is large because the number of carrying buddies reaches approximately 1,500 people. 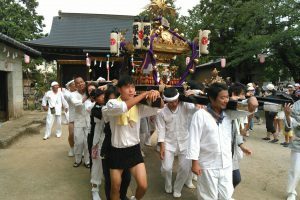 A mikoshi departed from the Odawara Castle Ruins Park in the venue goes around the city and progresses with one feeling. While you can hear “awesome! 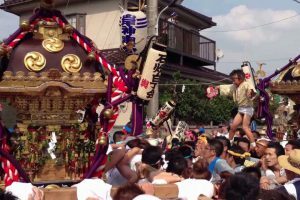 Dirty!” And a dashing cheek, this is a miserable mikoshi being carried out in line with the phrase. 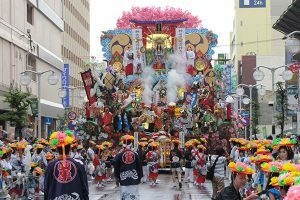 There are also Odawara style and Edo front style, so why not try raising a cheer together? 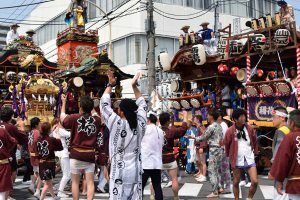 Fortunately there are municipalities who want recruiting hands and those who want to participate in the parade on the day please check the site of each municipality. And, as a successor to culture and PR, we have a hands-on experience corner where you can create your own original Odawara lantern. 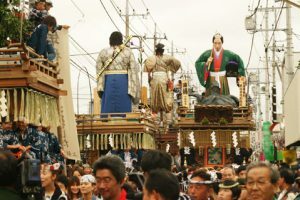 Why do not you make one for the festival participation memorial? There are time zones where traffic regulations take place around the venue. There is no parking lot for general cars at Odawara Castle Ruins Park. Please use private parking lot around. It is expected that the road around the venue on that day will be crowded. Please visit us by public transport if possible.